It has become apparent that way too many people missed the point of "Tools of Eugenics: Fluoride". The key was in the first paragraph, "Continue to kid yourself and justify their assault if you must, " it seems I foresaw that unfortunate event. The facts have been refuted, unjustifiably, with comments that bear a strikingly similar tone of unwillingness to believe the truth about fluoride, simply because they never believed it before. Leaving themselves with the job of a mockingbird, spewing the same old propaganda, to comfort only themselves. Ultimately it is the very drug they are being force fed that allows them to find comfort in the lies. 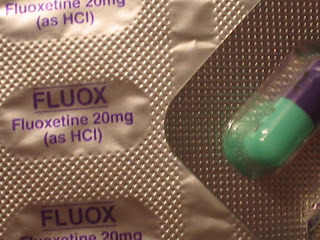 Prozac is fluoride, more specifically, fluoxetine, "every molecule of fluoxetine actually contains three molecules of the toxin fluoride." And in the water it goes! It is that obviouse. Do the research before you swat at the facts. "Tools of Eugenics: Fluoride" is not the only article dealing with water fluoridation, but is has enough links to start you off in the right direction. We deserve a life without forced medication from this government. Children deserve to grow up without chemical alterations to their brains, that lower their IQ, and cause cancer. Another point that needs to be made clear is where it comes from. According to DR. Hardy Limeback's research most American cities are purchasing an industrial grade source of fluoride to fluoridate drinking water. It comes from smokestack scrubbers that produce phosphate fertilizer, its cheaper than the pharmaceutical grade. He explains, "Tragically,that means we're not just dumping toxic fluoride into our drinking water. We're also exposing innocent, unsuspecting people to deadly elements of lead, arsenic and radium, all of them carcinogenic. Because of the cumulative properties of toxins, the detrimental effects on human health are catastrophic." This is something that demands our attention, and yet its so difficult for many to even look at. They arent even telling you that Fluoride does anything for you, thats the sad part. Buy A water filter that will remove fluoride. They are usually an add on filter, I use a Berkey with the Fluoride and Arsenic Reduction Element. You will notice the difference, the water is so good, no smell, no toxic waste, no psychotropic drugs, the water hasn't been sitting in plastic bottles leaching chemicals, just fresh, uncontaminated water. Start here because you have to be fluoride free to even begin to understand what has been going on in this country. There are many more Tools of Eugenics, and the best way to fight them is to first clear the fluorosis fog your in. SAY NO TO TOOLS OF EUGENICS! WE MOVED!-- Please Visit Us At NO ONE HAS TO DIE TOMORROW DOT COM ! "There is no greater catastrophe than underestimating the enemy." Jones Report--EUGENICS--Professor Predicts Human Race Will "split into two different species"
Jones Report--Ever Felt Your Job Was A Bit Impersonal? KSLA News--CHEMTRAILS: Is U.S. Gov't. Secretly Testing Americans 'Again'? Ron Paul War Room--Video--We Are Change Confronts Ron Paul. Infowars--Were War Critic Soldiers Killed To Send Message? Technology Review--Monsanto Developing Genetically Modified Plants that use RNA interference to Kill the Insects that Eat Them. Mish--Why Does Fiat Money Seemingly Work? The Truth Movement, "don't rock no Kamoflage"
Ron Paul 2008--Why Hasn’t Rudy Giuliani Read the 9-11 Commission Report? CNNmoney--Google's $1.65 billion deal for YouTube is all about the future of online video advertising. Raw Story--Israel to open A 'Bush Center',In Honor of Bush's Support of Isreal.